But Cornelius says the drugmaker is looking for a permanent successor to ousted chief Dolan. NEW YORK (CNNMoney.com) -- Bristol-Myers Squibb is looking for a new chief executive, not a buyer, according to the company's interim CEO. "We're not for sale," said James Cornelius, who has served as interim CEO since the previous No. 1, Peter Dolan, was forced out Sept. 12. "The longer I'm here, the more confident I become that Bristol has an excellent future as an independent company." Cornelius' temporary ascension to the No. 1 job has fueled speculation about Bristol-Myers' potential takeover by another company, because when he was interim CEO of Guidant (up $0.57 to $80.10, Charts) in 2005, he led the sale of that company to Boston Scientific (up $0.39 to $16.12, Charts). But some analysts believe that Bristol-Myers (down $0.02 to $24.64, Charts), the No. 5 U.S. drugmaker, has never been a serious candidate for takeover because its market capitalization of nearly $50 billion makes it too big to be absorbed by most companies, and any potential buyers would want to see its Plavix problem resolved first anyway. Plavix, a blood thinner that prevents dangerous blood clots, is Bristol's top-selling product. But Plavix ran into trouble Aug. 5 when privately held Canadian drugmaker Apotex started producing generic versions of Plavix - known as clopidogrel bisulfate - cutting into Bristol's sales with its cheaper product. The generic competition to Plavix is partly responsible for the 64 percent plunge in Bristol's third quarter earnings, the company said Thursday. Plavix sales fell 36 percent to $630 million in the third quarter, compared to the same period last year, the company said. Apotex had received a green light from the Food and Drug Administration to produce the generic drug, but still lacked legal clearance to do so, because Bristol's patent on Plavix doesn't expire until 2011. On Aug. 5, Apotex went ahead and produced the generic anyway. On Aug. 31, Bristol was able to convince a federal judge in New York to block Apotex from producing the generic blood-thinner, but not before Apotex had already flooded the market with the lower-priced drug. Apotex stopped making the drug but appealed the court decision. On Oct. 31, a federal Court of Appeals in Washington, will consider that appeal. Andrew Bonfield, chief financial officer for Bristol-Myers, said he expected the "generic impact" to Plavix to affect earnings into the fourth quarter and part of 2007. Barbara Ryan, analyst for Deutsche Bank North America, wrote in a published note that Bristol-Myers' valuation could drop to $20 a share from its current level of about $24, if the company loses its legal battle to protect Plavix. But the analyst also said it was "unlikely" that Bristol-Myers would lose, and a legal victory could send the stock price up to $28 a share. Overall drug sales were down 17 percent for the third quarter, to $3.2 billion. But, according to Bonfield, sales would have increased 5 percent if it weren't for generic pressure to Plavix. Bristol's earnings were also affected by the patent expiration, in April, of the cholesterol-cutting drug Pravachol. Third-quarter sales for that drug plunged 64 percent, to $192 million, the company said. Bristol-Myers executives said future growth would driven by a rich pipeline and the recently-launched drugs Sprycel, a treatment for two types of leukemia; Baraclude, a drug for patients with chronic hepatitis B and liver damage; Orencia, a treatment for rheumatoid arthritis; and Atripla, a combination HIV drug produced with partners Merck (up $0.03 to $46.10, Charts) and Gilead Sciences (up $1.04 to $68.99, Charts). 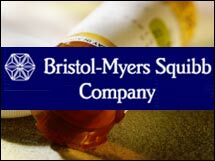 Bristol-Myers plans to release guidance for all of 2007 in January. The analyst quoted in this story does not own shares of Bristol-Myers stock, but Deutsche Bank North America makes a market in the company.